We're almost a month away till Season comes out, I've got more exciting events coming up that I will share with you as the dates get closer. I just mailed a copy to India to my mom wrapped in a hundred layers of bubble wrap, I hope it makes it one piece and soon! 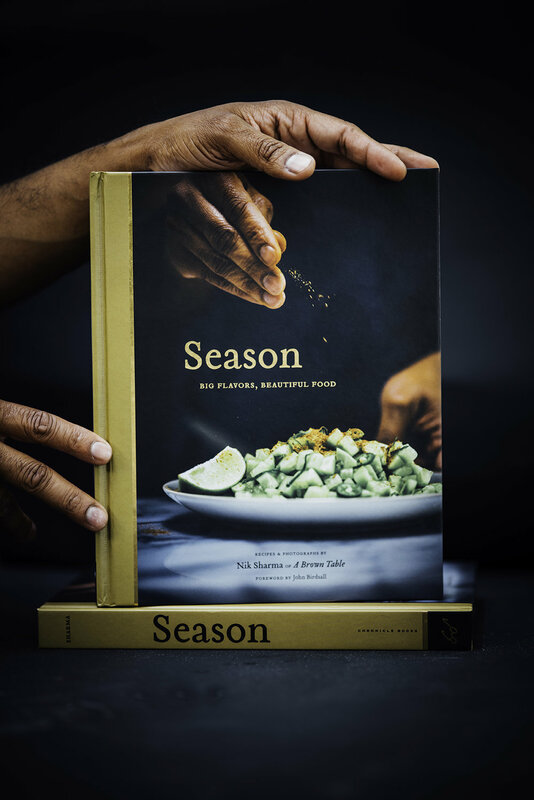 This week Season was also just named as one of the most highly anticipated cookbooks by Food and Wine magazine, the Kitchn , and the Forward!!! Honestly, when you write a book you hope everyone will love it and connect with it at some level but the response from everyone of you has been so amazing, I couldn't be more grateful for support. Thank you, I could not do this without you! This recipe caught my eye for a few reasons, the simplicity and also for the use of bread flour. Since this recipe is from The Claridge's , the original flour listed in the recipe was strong white flour. So I reached out to Edd Kimber from The Boy Who Bakes who recommended using a bread flour that was about 12% gluten. This is important when replicating recipes from different countries because typically flours need to match the gluten content when you bake to get close to the texture that the original recipe was meant to produce. Long pepper is a very fragrant type of pepper but if you can't find it you can substitute regular black pepper. Here the pepper provides a nice contrast to the aromatic notes of vanilla, a little cool and a little warm. The texture obtained using bread flour is perfect, just like shortbread should be. Place the butter, pepper, vanilla bean seeds and sugar in the bowl of a stand mixer and using the paddle attachment, beat the mixture until creamy for about 1 to 1/2 minutes on low speed. Scrape the sides of the bowl, add the flour and mix on low speed until completely incorporated. Divide the dough into half and roll each half into an 8 -inch log and 1 1/4 to1 1/2 inch using parchment or wax paper. Wrap and refrigerate for at least 40 minutes or freeze in an airtight container for up to 2 months. Cut each log into 1/2-inch thick rounds. Transfer the cut cookies to baking sheets lined with parchment paper. Set each cookie about 1/4-inch apart. Bake for 15 to 20 minutes until the edges just start to get golden brown. 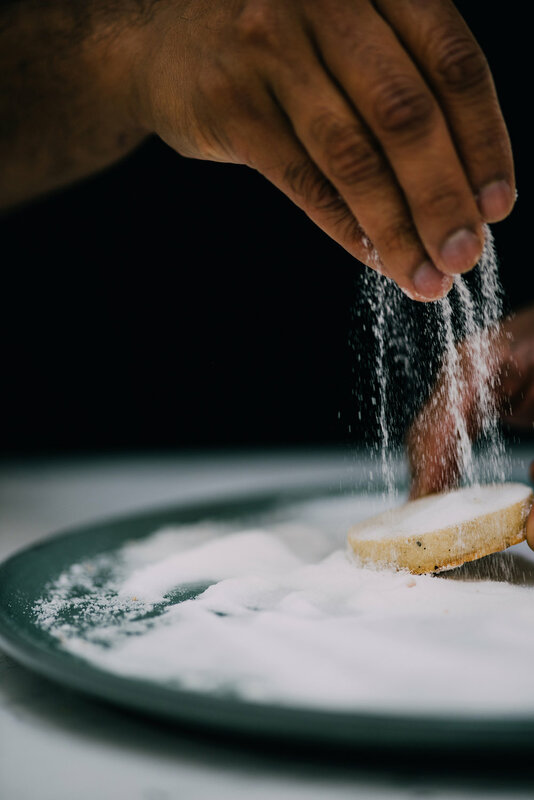 Remove the cookies from the oven and immediately dust the cookies with sugar and transfer to a wire rack to cool completely. Once the shortbread is cooled completley, shake to remove any excess sugar and store in an airtight container for up to 5 days.